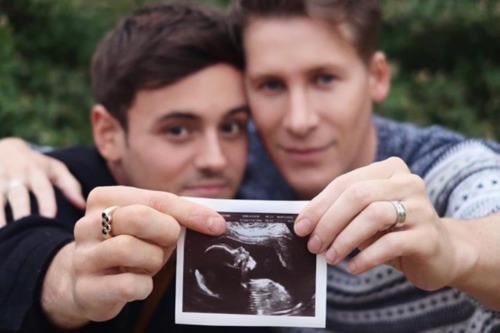 On Wednesday, film-maker Dustin Lance Black and his husband, Olympic diver Tom Daley, announced that they were having a baby. His column has resulted in two advertisers nixing their ads in the Daily Mail. 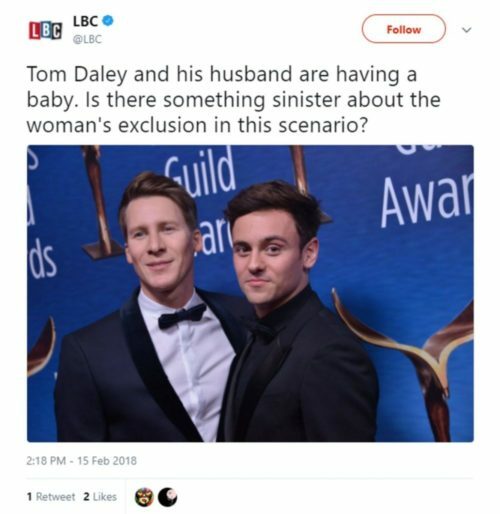 LBC, a radio station, asked if there was something “sinister” in the childbirth, a question it’s hard to imagine anyone asking about straight parents. LBC has since apologized and removed the tweet. Anti-transgender activist Julie Bindel also expressed her disgust at the dads’ “selfish” decision and linked an article about surrogate mothers in India. There is no evidence that the surrogate mother Black and Daley hired is in India or is “desperate.” Bindel didn’t explain how “systems of oppression” are unique to surrogacy and not propped up by pretty much everything wealthy nations import from countries like India. But the main point seems to be calling a gay couple “selfish,” so mission accomplished.